why invent anYthing on your own? To follow Fiona around the city is like following a humming bird, a big bird with no wings, but her stops on every display of content, either the working desk in my studio or a community notice board of a school, or a library, intensify her attention. A humming bird digging the flower. I see her mind in every part of her body, tense with inner movement. Yet, when her art pieces are done, Fiona Connor is the first to step back. She makes herself an observer of the object she remade. 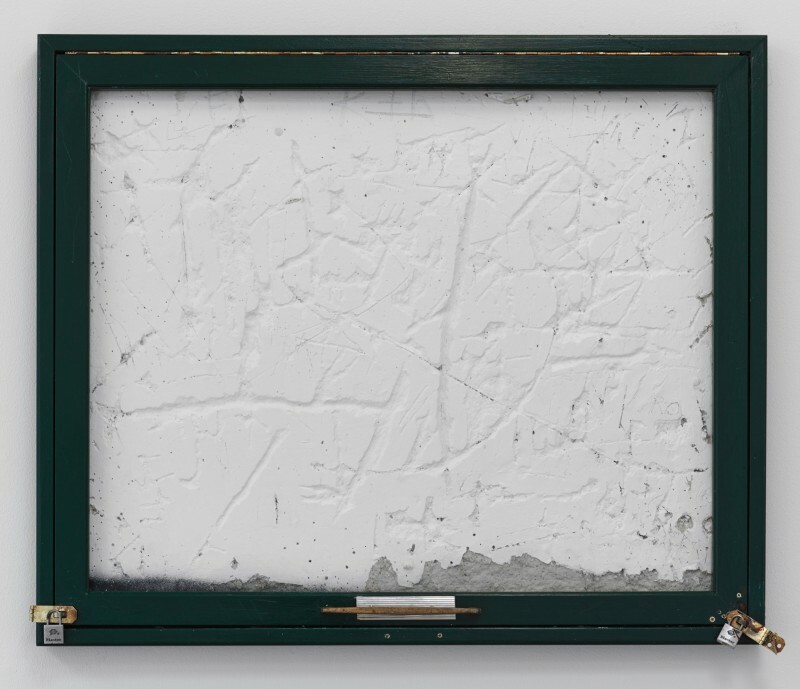 Not a copy, not an imitation, the very object re-produced as it was: frame, cork, staples, paint, every piece of material remade identical to the components of the original object. 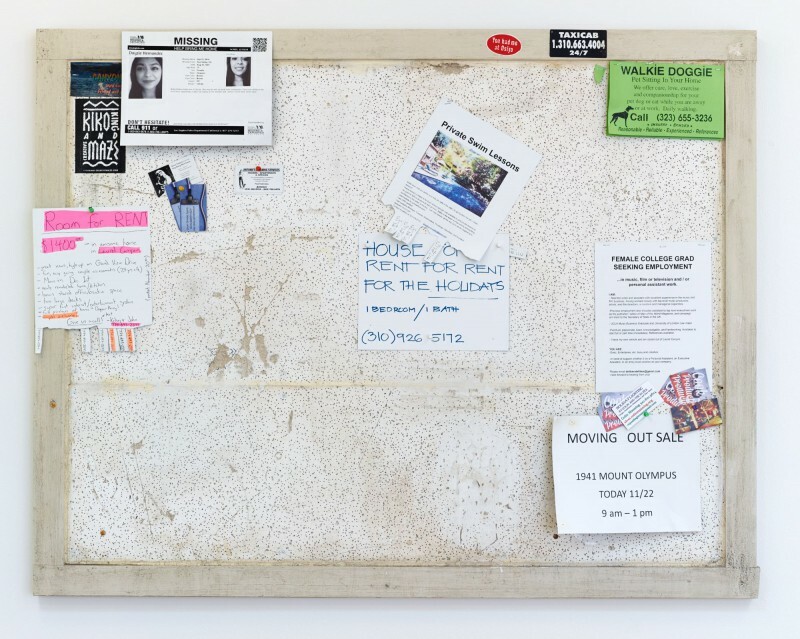 Used and abused, damaged, because it’s a community tool, a framed board for immediate exchanges: lost cats and dance classes, mentors, baristas, trips for seniors, dates and prices. 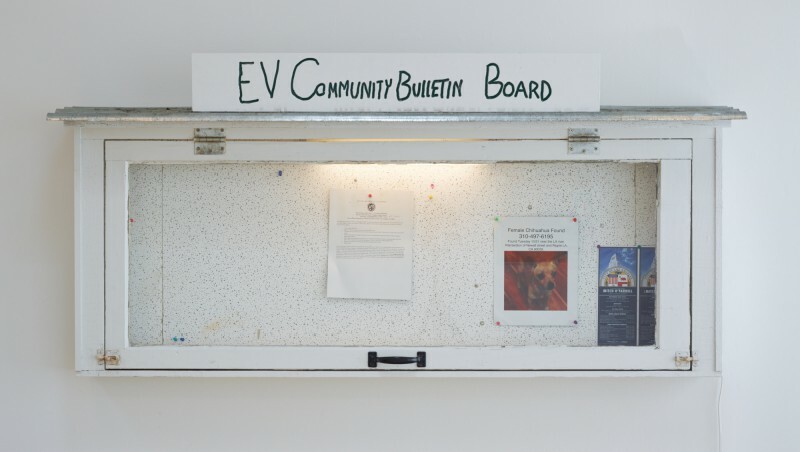 There are not many community boards now. Most passers by don’t even see them, their eyes on their smart phone, their private community tool. The artist found a bunch of them in Los Angeles, some almost completely destitute of function, empty. Scratched, marked by myriad holes. Some still carrying messages, messages on paper. 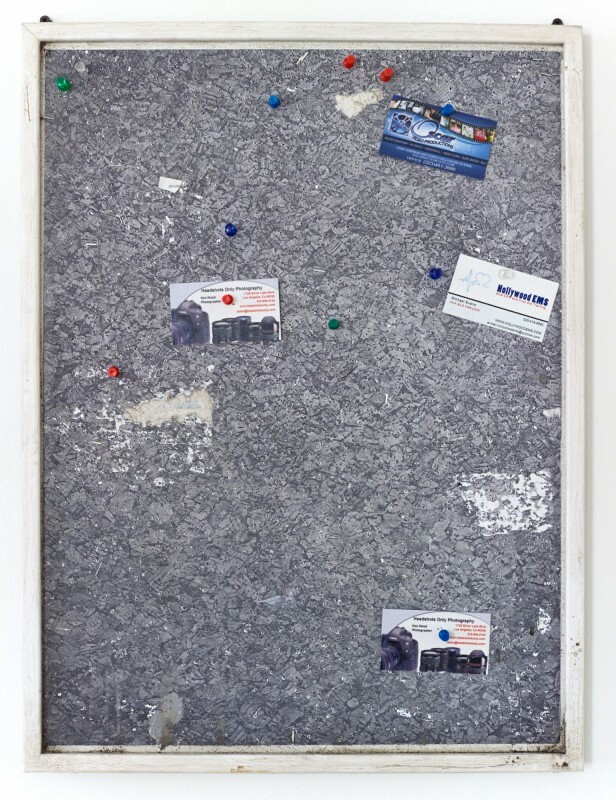 They are archival artworks now, thin sheets of metal have replaced the paper, but one has to know it, the mutation is invisible. Fiona Connor brought to Los Angeles from New Zealand the heartfelt attachment to a sense of equality, a better word for democracy. Her art is a tribute to gestures and habits of social passing on that are not destined to last, or to be considered worthy of attention. Those moments and objects that slip through our fingers like water, like time. Small memorials of the living that nobody loves, just useful, they don’t count. “There is an ethics -she tells me- in renewing and reflecting people’s notice of common needs, to pay a tribute to ephemeral moments.” As most of life is.